Pedestrian accidents are, unfortunately, common throughout Greater Los Angeles¹. In fact, pedestrians account for almost one-quarter of traffic fatalities in California, according to the California Department of Motor Vehicles². Over 700 people are killed every year in pedestrian traffic accidents and at least 12,000 are hurt, according to the California Highway Patrol (CHP). About one out of every five pedestrian fatalities are seniors. If you or someone you love has been hurt or killed in a pedestrian accident in California, a Los Angeles pedestrian accident lawyer can help you explore your legal options and seek the compensation you need to rebuild your life. California leads the nation in pedestrian deaths and the percentage of pedestrian fatalities continues to rise compared to all traffic deaths. According to a recent report, 70% of pedestrian deaths occurred at night and nearly 70% of victims were male, more than a third of victims had blood alcohol levels exceeding the legal limit. Speed often plays a role in pedestrian accidents. Even at slow speeds, accidents can lead to significant injuries for pedestrians. Victims in pedestrian traffic accidents often sustain serious injuries like fractures, traumatic brain injuries, amputation, spinal cord injuries, and internal organ damage. 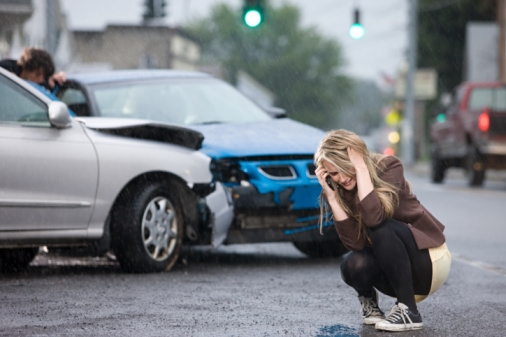 Learn more about all of the auto accident categories, click here. If you or someone you love has been hurt in a pedestrian accident, contact an experienced pedestrian accident lawyer in Los Angeles before speaking to the insurance company, as a settlement may not cover your damages and the insurance adjuster’s job is limiting payouts for the company. Our experienced Los Angeles CA personal injury attorney can help you determine fault and build a case to seek the maximum compensation for your injuries. Depending on your case, you may be entitled to compensation for your current and future medical expenses, rehabilitation, lost wages, reduced earning capacity, and pain and suffering. Contact the Law Office of Tawni Takagi today for a free consultation with a pedestrian accident attorney in Los Angeles to discuss your legal options.